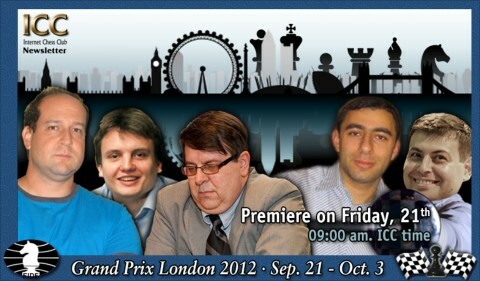 FIDE Grand Prix in London! The FIDE Grand Prix, that will take place in London from September the 21st to October the 3rd, has finally a definite line-up. 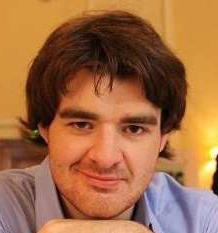 Unfortunately GM Peter Svidler had to renounce, thus the organizers called in GM Michael Adams, #1 of England. The complete line-up is: GM Hikaru Nakamura from USA, GM Vassily Ivanchuk form Ukraine, GM Alexander Grischuk from Russia, GM Veselin Topalov from Bulgaria, GM Wang Hao from China, GM Boris Gelfand from Israel, GM Peter Leko fr om Hungary, GM Anish Giri from the Netherlands, GM Shakriyar Mamedyarov from Azerbaijan, GM Leinier Dominguez from Cuba, GM Michael Adams from England and GM Rustam Kasimdzhanov from Uzbekistan. The tournament is a an 11 Rounds - Round Robin system. Games start every day at 09:00 am ICC time (EDT) - 03:00 pm Central European Time. September the 26th and the 30th are rest days.